Helping Virginia schools be tobacco and e-cigarette free 24 hours, 7 days a week. Download the 24/7 Tobacco-Free Schools Toolkit to help make your school tobacco-free. 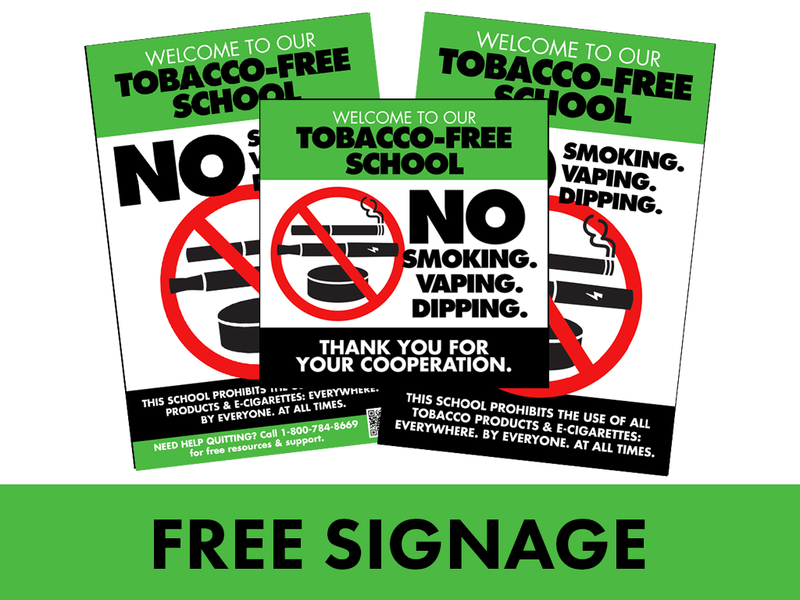 Want to promote your 100% tobacco-free school? Find out how to receive free signage here.